Spring is sprung, and it makes me feel good. Earlier this week I saluted the equinox. Very soon I will celebrate perhaps my favourite day of the year when the clocks spring forward and lightness suddenly holds sway long into the evening. On Tuesday I caught my first glimpse of my little pals and gave them a hearty wave, I’d been anticipating their arrival, but no, too soon, and then there they were, little bundles of fluffy white joy, with an occasional black one dotted in for good measure. All across the British Isles, the blue skies and bright sunshine have been delightful. Down in the southeast of England, nature is blazing full-steam ahead, and I notice the difference. I was hit by a wall of sweet-scented blossom as I made my way up to the main doors of one school, and stopped to take it in. Back here in the Midlands, up on top of a modest hill, we’re not quite so far advanced, and by the time we get to the lilting accents of The Scottish Highlands, the season is fully a month behind. It’s like that in every class we ever teach, of course. Learners progress at different rates. My happiest moment of the week was the beaming smiles exchanged between a 10-year-old girl and a teaching assistant. This little lady needs full-time support, so that when her classmates are working with an age-mate, she converses with her adult helper. Branching words out from each other, as language plants do, means learners are presented with lots of possibilities, and when I model a short, medium and really really long sentence for them, most jump into the activity with gusto. 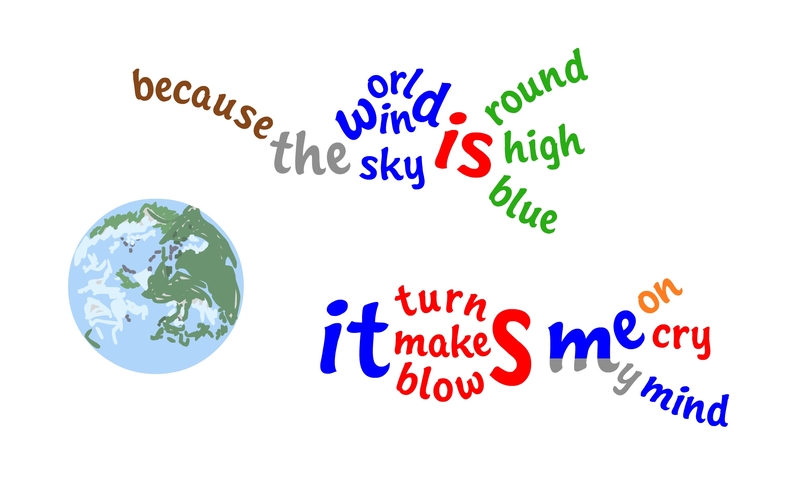 But a fantastic side-effect of branching is that each word has a unique shape and position, and with a colourful veneer to boot, learners can call on intelligences besides linguistic to complete a task. Time and again, I feel the warm glow from teachers telling me how much more involved were some of the more reluctant ones, the less confident ones, the ones who struggle or who are disengaged. The bright ones, yes, they get it straight away, as one would expect, but what usually tips the balance is them witnessing first-hand a sea change in the behaviour of the ones who most need help. This is what had just happened here. Our little friend had been able to work out where one of the missing words should go in Puzzle, and had carefully placed it back in on the interactive whiteboard. The joy radiating from the both of them as our most recent language gardener made her way back to her seat was brighter than the spring sunshine outside, and that made me feel real good. The weather has been beautiful this week, hasn’t it?! I can totally identify with your delight. Getting out of work and driving home in the light is pure bliss. The sun glancing of this city of hills is gorgeous. I’ve been longing to take my classes outside somehow and sit under a tree or something. That’s a very pretty image you’ve painted, Anna. Thank you. You are currently reading Spring is sprung at language garden.